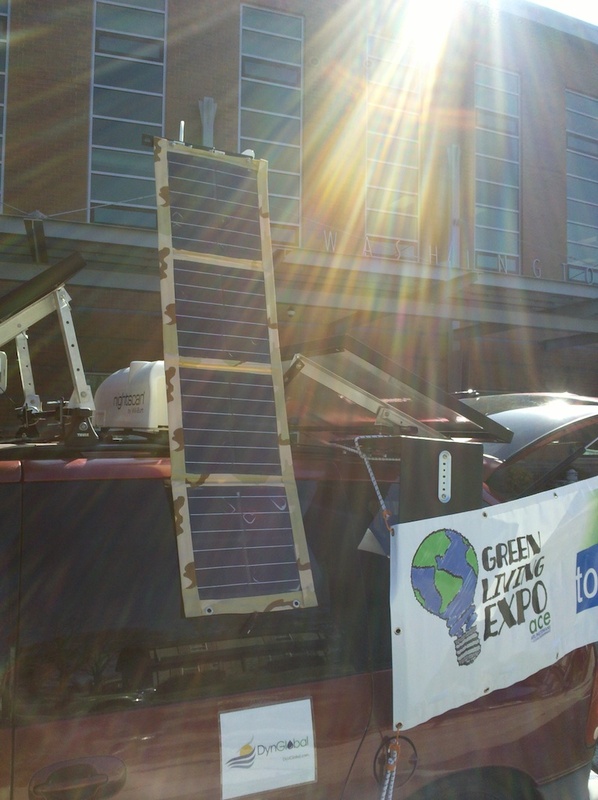 This van is an education demonstration of renewable energy technologies and applications. 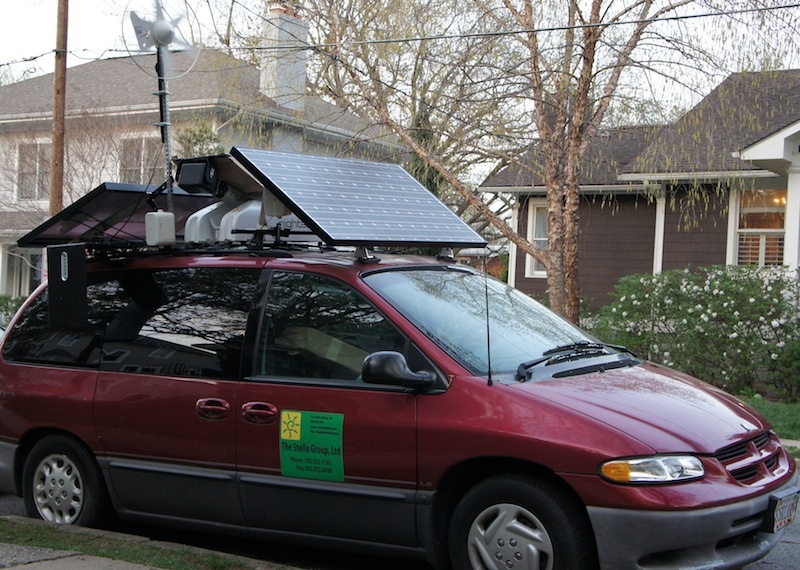 The solar electric panels, small wind turbine, and hydrogen fuel cell store their energy in a smart battery bank which powers the all-weather flat video screen, the DVD player, and the sound/speaker system (They do not power the van itself). 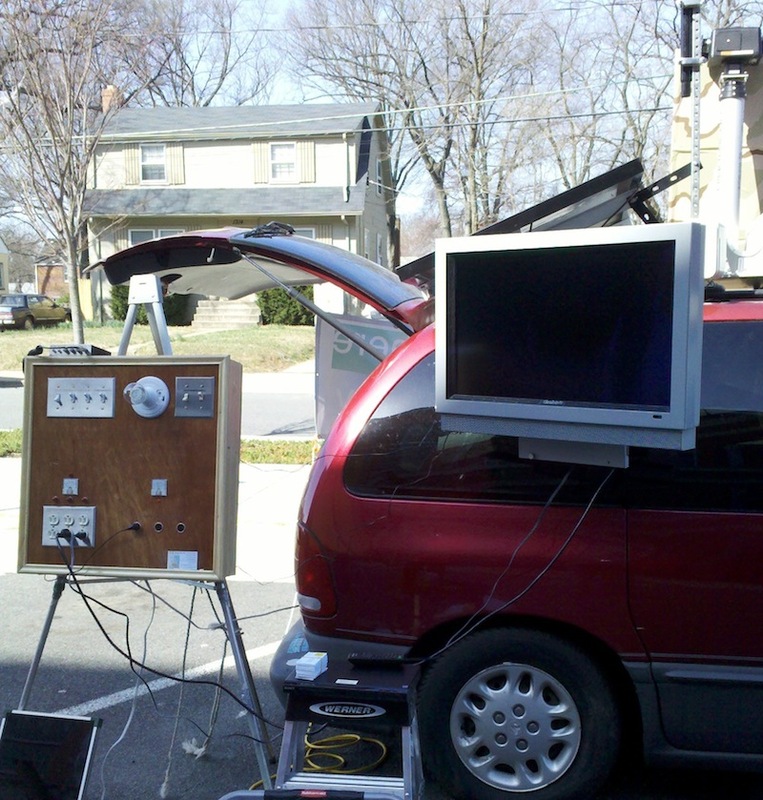 The two rigid solar electric panels (photovoltaics) are high output Sanyo HIT modules at 20 percent efficiency producing over 200 watts each, and the unique monocrystaline foldable DynGlobal photovoltaic panel produces 60 watts and is positioned atop the remote positioning arm on the van roof to face the sun to maximize electric output. The 150 watt Marlec wind turbine is a small marine unit which is super quiet and works off of very light winds.The ReliOn 200 watt fuel cell runs off of 2 psi recycled industrial hydrogen from AirGas, and produces DC electricity just like the photovoltaic panels and wind turbine. The electricity is all stored in a super efficient AxionPower supercapacitive lead-acid-carbon hybrid battery, and the DC current is converted by a solid state Exeltech inverter. The control panel was fabricated by Otto Electric of Arlington, VA composed of gauges and AC current and DC current sockets with LED lights. 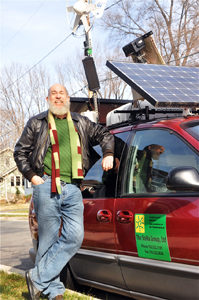 The system wiring was integrated by veteran solar energy installer Al Nunez of Capital Sun of Bethesda, MD. Wooden framing and plexiglass work was fabricated by Daniel Simpkins of Arlington, VA.
Reserve your chance to see it by clicking here!